Whether we like to admit it or not, we all do it. Some do it at home, some do it in the car, and some even do it at work. But face it we all sit, and for a lot of us we sit entirely TOO long. Sitting has been linked to numerous health problems including: obesity, high blood pressure, heart disease, back pain, muscle atrophy and tightness. One theory suggests that sitting for too long can cause muscles to burn less fat and blood to flow more sluggishly, which can definitely be linked to the listed medical problems above. What about back pain? When we sit, we put 40% more pressure on our spine than when we stand. 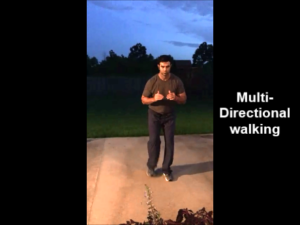 While standing, we allow the weight of our upper body to be distributed down into our hips and lower extremities, utilizing all of those big muscle groups to disperse the pressure. Another reason sitting can be so detrimental to our health is something called adaptive shortening syndrome (aka tight hips). In a prolonged sitting position our anterior hip muscles are in a shortened state; likewise our posterior muscles are lengthened and deactivated. This combo is terrible for our posture as well as our quality of life. Here are a few things we can do to help prevent this. 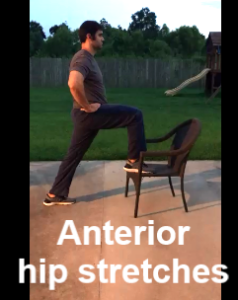 Anterior hip stretches – Such as a runners stretch with elevated front foot. Be sure posteriorly tilt your pelvis (tuck your tail) to ensure a stretch of the anterior hip and not extension of our lumbar spine. Glute and Core strengthening – These are great for reactivating those large posterior muscles that are so important in everyday life. 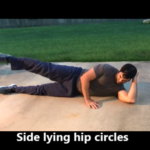 Some examples include a supine glute bridge, side lying hip circles, and multi directional walking in all planes (with and without a resistance band). 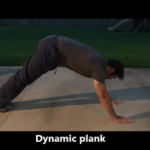 To focus on core strength, you can perform dynamic planks from push up position and any type of squat or dead lift motion that requires you to brace your core. Break up your sitting – Stretching and strengthening are fantastic options for helping to lessen the effects of sitting. However one of the most important and perhaps the easiest way to prevent these effects is not sitting so long. Get up about every 30 minutes or so to walk around. It doesn’t have to be for long just so you’re getting those muscles out of that shortened position, allowing your muscles to work, and letting your joints move. The human body was designed to move well. Don’t believe me? Watch a group of kids at play. When our bodies are running at optimal levels, not stiff and de-activated, we too should be able to move very similar to the way of that child. My challenge to everyone is to stand up for your health. Set an alarm to get up every 30 min. Play with your kids on the floor. And above all, don’t take this sitting down… MOVE! For more healthy living tips like these, be sure to follow our blog. View our resources page for tips on managing back pain and additional exercises. Learn more about our outpatient services and career opportunities by visiting our website. 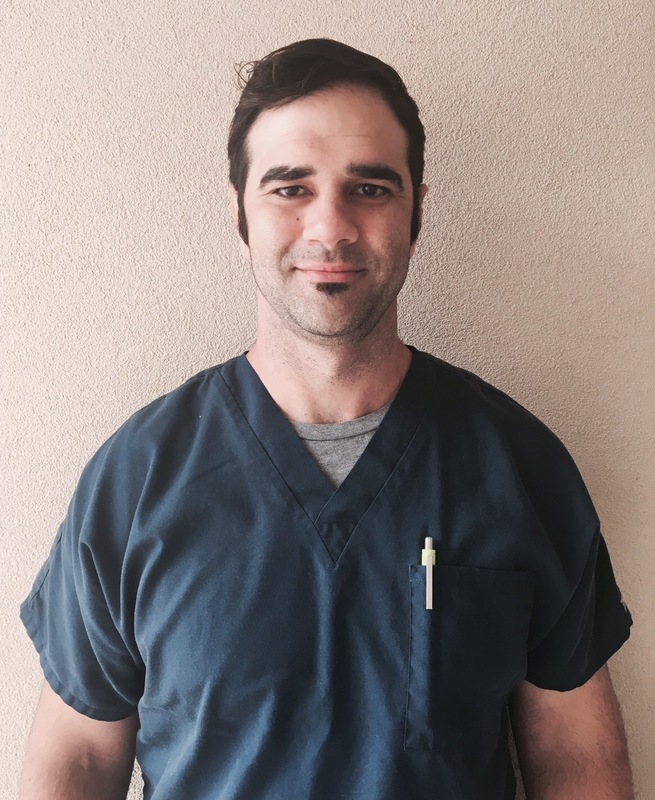 Josh Fredieu is a Physical Therapy Assistant for the Therapy Center. He is certified in applied functional science by the Gray Institute. Josh has been practicing for 5 years in a variety of settings. In his spare time, he enjoys blogging about healthy living habits. Read the original article here.